We kindly invite you to visit our stand at the upcoming Film-Video-Photo fair in Łódź. The XIX edition of the fair will take place on the 7th-9th of April 2016. Visitors will be able to see the newest products and find out more about them. It will be a great chance to see our sensational chargers in action. 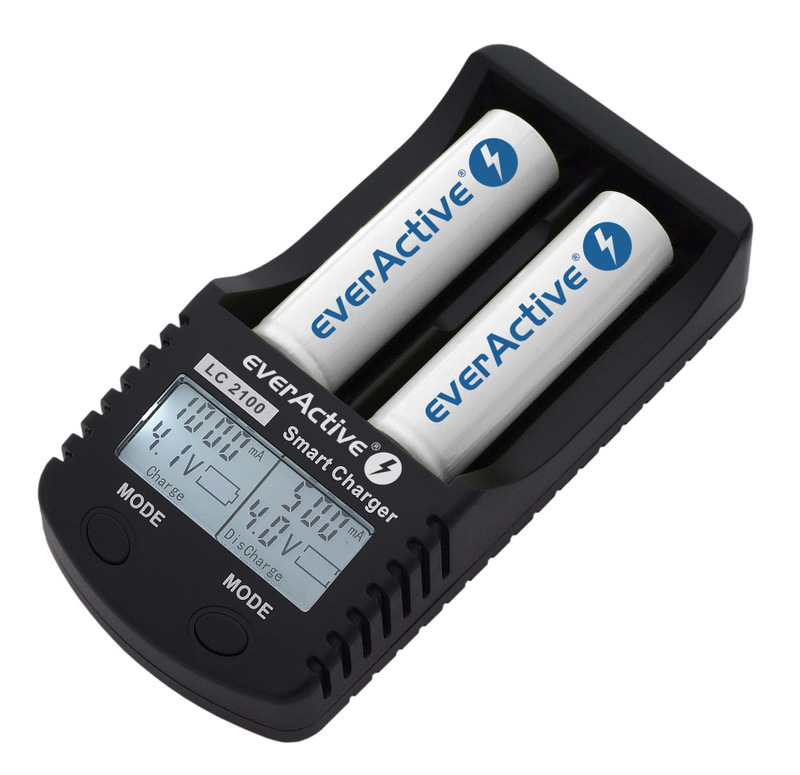 It is a pleasure to announce that in the newest edition of “Foto Plus” (a professional magazine for photographers) you can find an extensive test of everActive rechargeable batteries from our Professional Series. 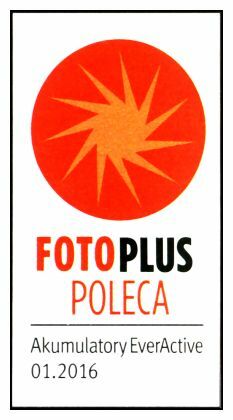 The batteries were given an official recommendation and received the “Recommended by Foto Plus” award. The batteries were classified as one of the best on the market and unbeatable in their own price range. The end of January 2016 is bringing the long awaited premiere of microprocessor controlled car battery chargers. We are introducing three models of extremely interesting, fully automatic, and safe chargers for multipurpose use. CBC-1, CBC-4 and CBC-10 are representatives of the so called “intelligent chargers”. They are digital and micro-processor controlled chargers. They are designed for the most effective charging and maintenance of VRLA, AGM, VLA, SLA, WET, GEL, Lead-Acid batteries. All of the chargers come with two sets of connecting leads: clamp connectors and ring terminals. 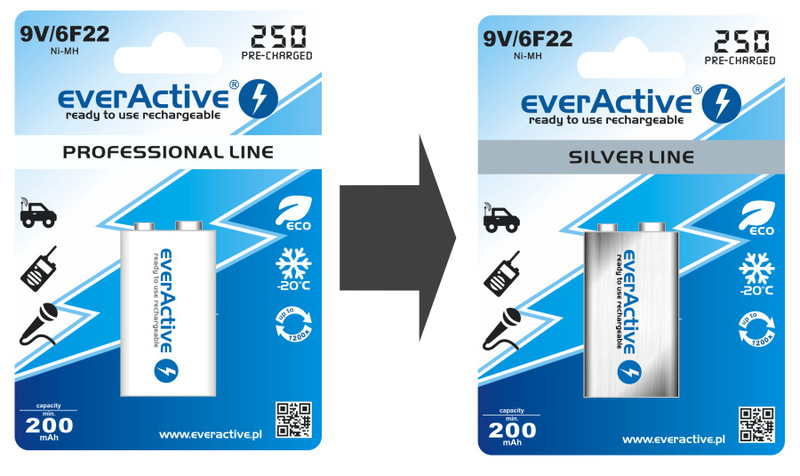 As of January 11th 2016, along with new deliveries, the 9V 250 mAh everActive rechargeable battery is available as a part of the “Silver Line” (previously "Professional Line"). This change is strictly ordinal, since there is a more powerful version of the 9V rechargeable battery available that has a capacity of 320 mAh and is classified as "Professional Line". The quality of the rechargeable batteries remains unaltered, consistently on a high level. 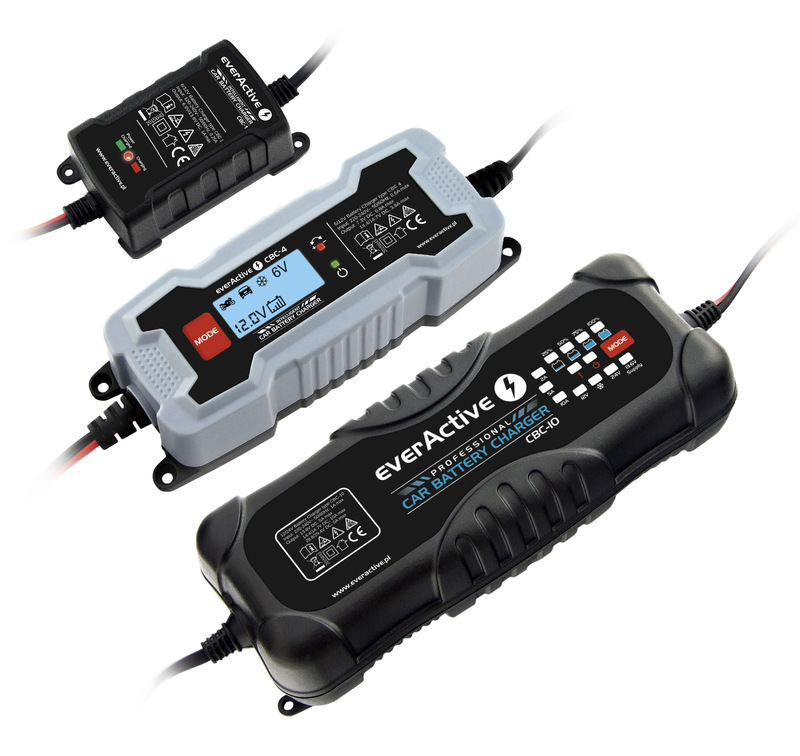 At the turn of the years 2015 and 2016 everActive introduces a new charger – the first professional everActive charger designed for 3.6V/3.7V lithium-ion batteries. LC-2100 is a specialty charger designated for lithium-ion cells which is a reflection of the highly valued NC-1000 and NC-3000, which are designed for Ni-MH cells.